Manufacturing Day is an annual nationwide event supported by the National Association of Manufacturers, during which American manufacturers open their doors to help educate people about the industry. Fourteen employers from Bureau, LaSalle and Putnam counties, including Allegion, also participate in the Discover Manufacturing Career Expo in Peru, Ill. – where students learn about particular manufacturing career tracks after touring individual manufacturing facilities. Allegion manufactures LCN® door closers at its Princeton facility on Railroad Avenue, where it’s operated for nearly 90 years. The high school students, teachers, community leaders and government officials who attended Allegion’s 2018 Manufacturing Day were given the opportunity to tour that facility and see, first-hand, how those door security products are made. State Rep. Daniel Swanson (R-Alpha) was one of the government officials who participated in the event. “With the importance of manufacturing to our state and nation, I am so proud to have Allegion in the Princeton area. Not only have they been a great employer, but I am impressed with their focus on community involvement and growth,” said Rep. Swanson. 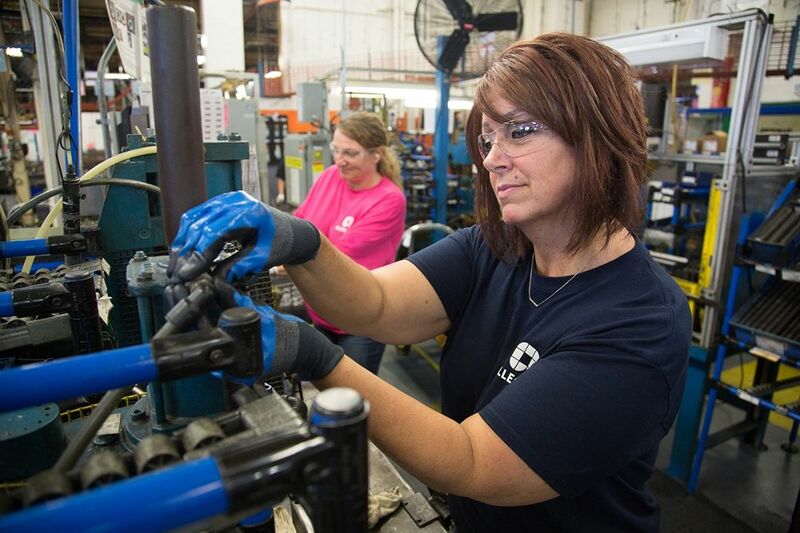 Allegion employs more than 300 people at the Princeton facility. Manufacturing Day, as a part of the Discover Manufacturing Career Expo, gives Allegion the opportunity to cultivate relationships with local schools and to develop innovative ways to teach students about the future of manufacturing. To actively address the skills gap, Allegion is also developing skilled trade apprenticeship programs and offering tuition reimbursement opportunities, as well as transitioning part-time and temporary employees to full-time positions. In total, there are more than 115 Manufacturing Day events being held in Illinois during the month of October. For more details, click here.